and Around the House the Fox Chased the Mouse: Adventures in Prepositions by Rick Walton. We watched Schoolhouse Rock's Busy Prepositions. I LOVE these classic songs. I printed off this sheet of prepositions to use as a guide for a couple of weeks. I kept it in their school folders and we reviewed it every day. It is 70 of the most used prepositions. Tip: One thing I have learned about teaching prepositions is that memorizing lists of them does not really help in the long run. When my oldest son was in the fourth grade, he memorized at least one hundred prepositions. We spent a lot of time working on this. However, he could not recall that list a few years later. (One benefit to homeschooling, I get to see what really lasts long-term.) So this time around with my other four children, I am focusing more on being able to identify them and using them to make their writing more descriptive. I will save the rote memorization exercises for other lessons, such as learning the presidents in order and the state capitals. 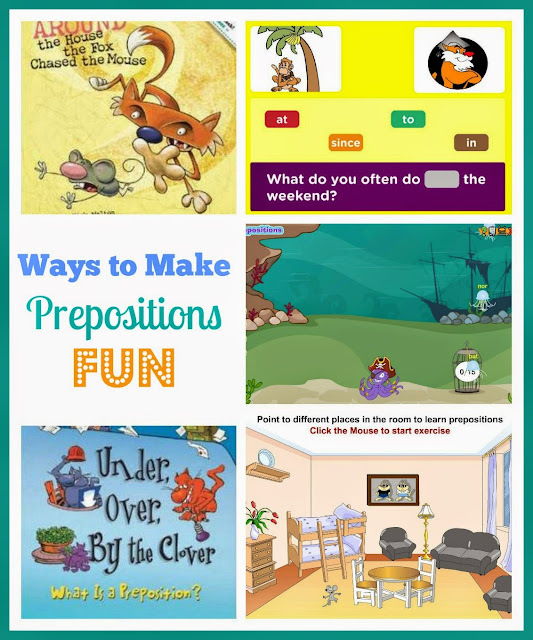 We discussed a simple trick- many (but not all) prepositions describe positions, such as "anywhere a mouse can go." HERE is a super simple way to illustrate that point. 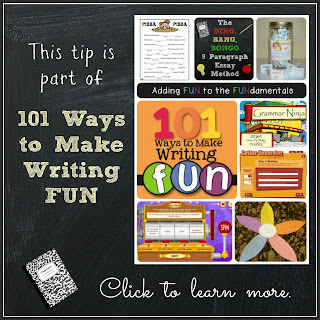 This activity was the perfect springboard to lead into a descriptive writing lesson. I had my boys write a paragraph about an animal using 15 prepositions. If you have very young children, you can begin to introduce prepositions through this basic activity that teaches the prepositions of place. I printed off a few FREE worksheets from education.com to review prepositions. Last, we visited this site, which has several preposition lessons kids can complete on-line. My favorite lesson was Identify Prepositions. I thought it was also great typing practice.